Biophysical and econometric analysis of adoption of soil and water conservation techniques in the semiarid region of Sidi Bouzid (Central Tunisia). Soil and water conservation technologies (SWCT) are important to farmers, to the research community, as well as to the policy makers, given that declining soil health, and increasing erosion and moisture stress have implications for agricultural livelihoods, national food security, and more generally for well-being within rural communities. Yet, despite Tunisia was at forefront of introducing them, the uptake of SWCT by farmers has been less broad than desired. 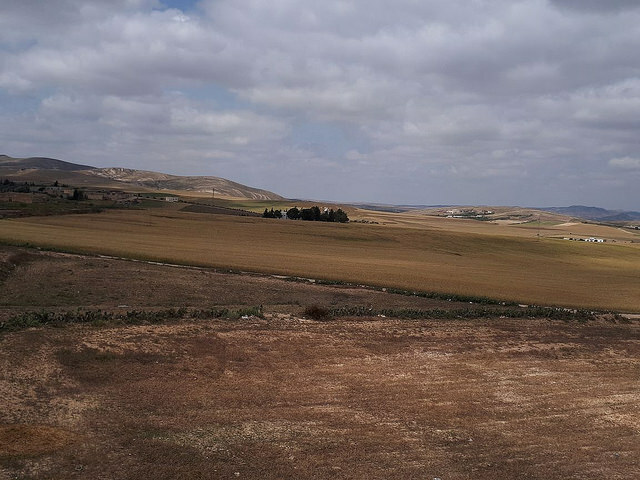 This study aims to identify and analyze those factors that have affected the rate of adoption of SWCT within the Sidi Bouzid governorate of Central Tunisia; a region that is representative of resource-poor environments within the country, and one where land degradation is of both historical and contemporary concern. Employing a binary logistic regression model, with data obtained from a survey of 250 farmers, our results suggest that socio-economic and institutional factors play an important role in the adoption of SWCT. Membership within an agricultural cooperative was positively correlated with adoption. Surprisingly, however, participation in organized trainings for SWCT was negatively correlated with adoption, similarly to livestock holdings. We provide plausible explanations for this counterintuitive finding, together with an argument that conventional processes for knowledge transfer and dissemination are in need of reform. Read/download the open access study via ICARDA.